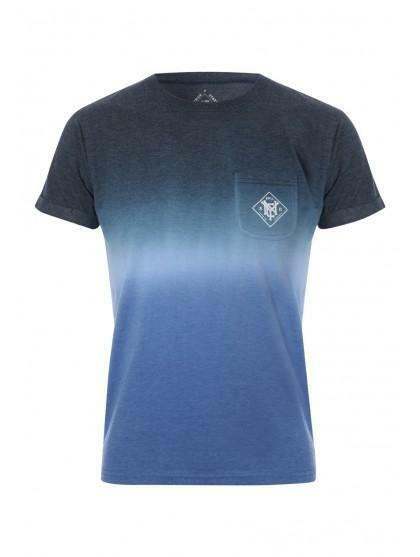 Get the ombre look in this mens short sleeve T-shirt. 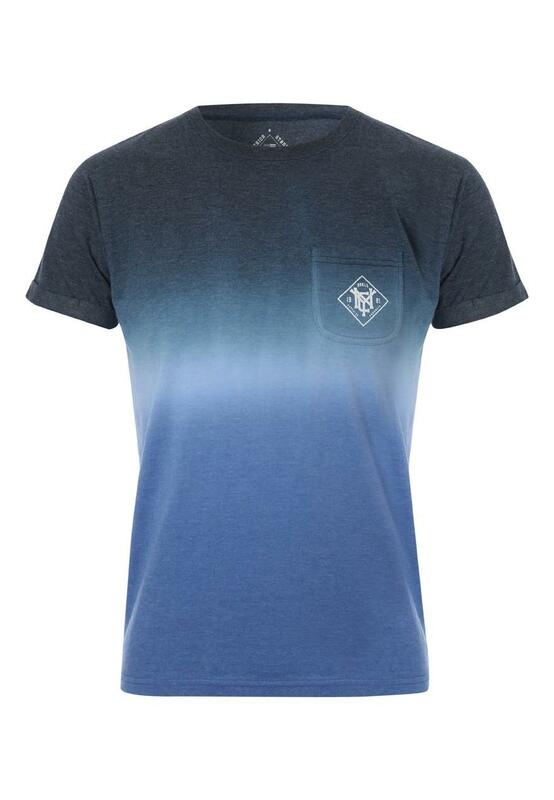 This casual top features an ombre design in shades of blue, a chest pocket and a crew neck. Team with a pair of jeans and shoes to complete your casual attire.